However, technically, the best-selling author has never before been "In The Chair." All that changes Tuesday evening, as the televangelist returns to the program, this time joining Piers Morgan for the program's signature interview segment. On hand over the weekend as daredevil tightrope-walker Nik Wallenda walked a quarter mile high above the Grand Canyon, Osteen will share his perspective on the power of prayer, and the ways in which Wallenda's walk mirrors life's many challenges. In addition to his relationship with Wallenda, the pastor of Houston's Lakewood Church will share his thoughts on the life and legacy of Nelson Mandela, the former South African President who has recently fallen ill. 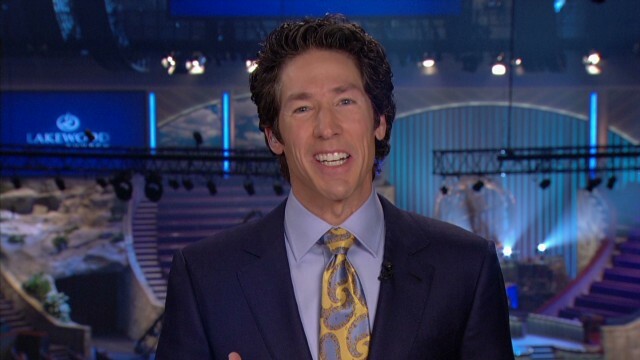 Openly spiritual and positive, during a recent interview on "Piers Morgan Live," Osteen frowned up political attack ads, admitting to be disappointed in their apparent effectiveness. Also tonight, the host welcomes defense lawyer Thomas Mesereau, professor and author Michael Higginbotham, and attorney Gloria Allred, as the trio will touch upon the ongoing Michael Jackson and George Zimmerman trials, as well as the United States' ongoing attempt to extradite Edward Snowden. Meanwhile, this evening the program will continue with its "Gone To Pot" franchise, welcoming Patrick Kennedy, Kevin Sabet, and Neill Franklin to discuss the ongoing interest in the medicinal values and legalization of marijuana. And, tune in at 9 as Dr. Drew joins the program tonight for a live, primetime interview. It was our Politicians who provoked tension among Hispanic and African Americans. I must inform you I am not an avid watcher of your show (yet). However, I absolutely applaud your discussions of marijuana (mary jane, pot, reefer, etc). (Especially the neuroscientist Dr. Gupta) Thank you for your work and coverage of this issue. Since that episode on Friday with the Marijuana Moms, I watch your show. Again, cheers on the good work! Keep fighting the good fight! There will never be a doctor that will ever treat anyone with tobacco or alcohol.